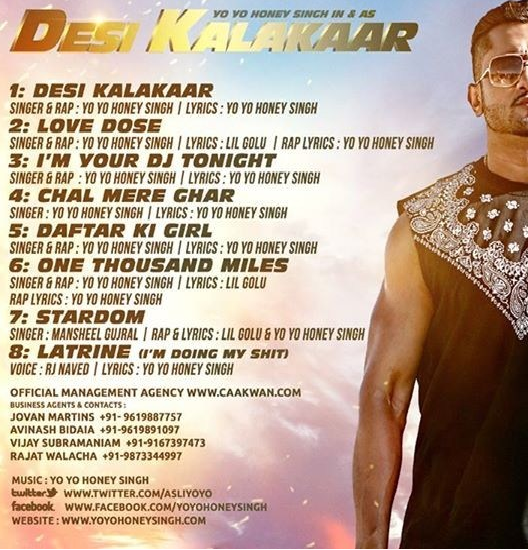 Info : Desi Kalakar is the title track song from the album Desi Kalakar by Yo! Yo! Honey Singh produced by Gulshan Kumar, story and screen play is by Yo! Yo! 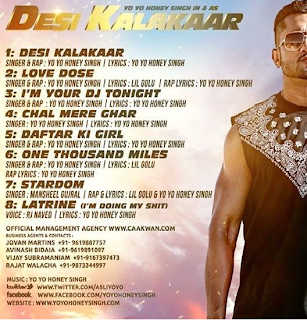 Honey Singh.The song features Sonakshi Sinha, Yo! Yo! Honey Singh, Gulshan Grover in the music video. Video had received over 9 million views on T-Series official channel of YouTube.